Phone Holder Powerbank – Magnla Car phone holder with 4000 mAh power bank. 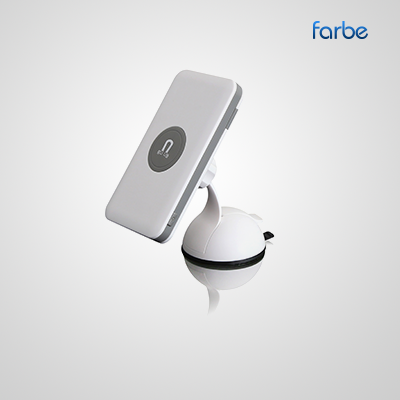 The car phone holder has a strong & sticky suction base which allows for mounting on the dashboard and windshield. 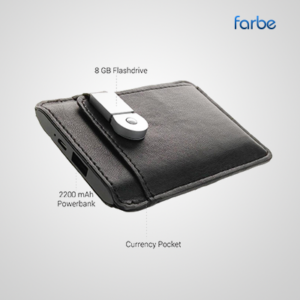 Strong 3200GS*4 magnet allows for the phone to be securely attached to the power bank without much fuss. Includes two metal plates that can be attached to non-metallic surfaces so that they can cling to the magnet. Useful, practical and convenient. 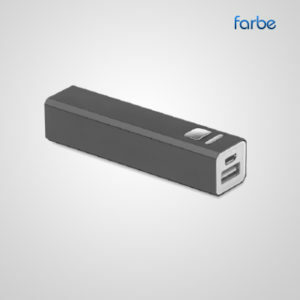 Power Banks have risen in popularity in recent months due to the growing reliance on our smartphones and the decreasing lifespan of new model released. While older mobile phones lasted for weeks without needing any extra juice, today’s gadgets do far more than they once did. Whether this is the ability to play videos, listen to music, connecting to the internet or playing elaborate games downloaded from the app store. Our chargers are suitable for your promotional iPhone & mobile phone products and tablet and are both portable and compact in nature, perfect for commutes as well as long journeys and holidays. 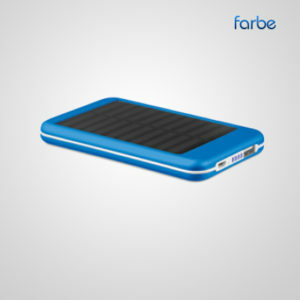 Design these external batteries in your corporate design now with Farbe Middle East. 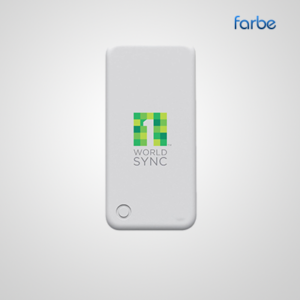 In our online store, you’ll find different charging devices that can be customised in your particular brand including colours and advertisement message. So, start your advertising campaign now with these modern giveaways and give your target audience promotional products with unbeatable user value.